The building for Leipers Fork church of Christ is located at 4207 Old Hillsboro Rd in Franklin, TN. Our parking lot is adequately sized, so select any parking space available. We have three dedicated spaces for the handicapped: two directly in front of the building entrance, and one just left of the building entrance in the main parking lot. When you arrive, we encourage you to come on in, meet us, and prepare for Bible class and/or worship. Sunday morning at 9:30am (and also Wednesday at 7:00pm), the congregation will sing, pray, read scripture, then adjourn to our respective Bible classes. We encourage children to participate in age appropriate classes for hands-on, educational, Bible based lessons; you will find our children are always eager for Bible class. 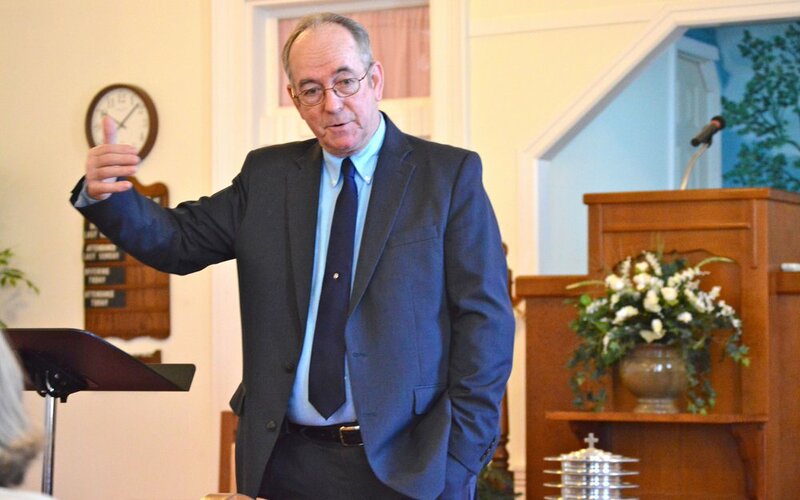 Sunday morning at 9:30am, while children are in their appropriate aged classes, the adults engage in a Bible Study led by our evangelist, Johnny Webb. This class concludes at 10:10am, allowing time for our members to receive children from Bible class, use the restroom, welcome visitors, and most importantly, prepare for worship. If you happen to be visiting during the week, we also gather Wednesday evening at 7:00pm for an in-depth Bible Study led by one of our elders, Tracy White. If you enjoy getting more from your Bible class, you will want to join us Wednesday evening. This Bible Study typically last until 8:15pm because we also take this opportunity to pray on behalf of those mentioned on our prayer list. Our worship begins Sunday Morning at 10:30am. We encourage you to arrive a few minutes early, if possible, not only to allow us a chance to greet you, but also that you may hear our announcements which begin at 10:25am. Children are welcome in our worship service; you will find families typically sit together allowing each family to worship in unity. Our worship will begin with joyful congregational singing from the heart (acapella - no mechanical instruments), with moments of thankful prayer, reading of scripture, and a message from our evangelist, Johhny Webb. Before concluding the worship service, with great reverence, we eat and drink of the Lord’s Supper to commemorate the sacrifical death of Jesus on the cross. The service is typically complete around 11:45am. As you leave, our members will want to shake your hand and hopefully get to know you briefly as we all exit together. We also worship at 6:00pm on Sunday evening; the evening worship contains a similar worship style as the morning service, yet typically concludes at 7:00pm.